Supplier Management of Gas Enterprise Material Chen Guodong;North Shanghai Gas Business Co. 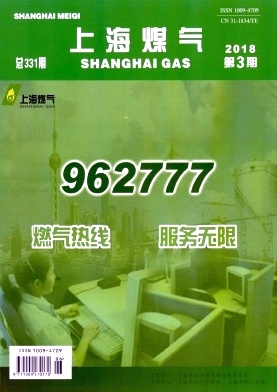 Thinking about Gas Shortage in the Winter of 2017 Shen Xiongying;Shanghai Natural Gas Pipeline Network Co.
Development and Implementation of a Field Management System Based on "Enterprise WeChat" Huang Yushun;Shanghai Municipal Gas No.2 Pipelines Engineering Co.
Professional and Technical Personnel Training of Mid-high LNG Storage and Transportation Workers Xu Zhen;Shanghai Natural Gas Pipeline Network Co.
Study on Filling in Natural Gas Special Tunnel Zhang Miaoxin;Shanghai Gas Engineering Design & Research Co. Application of Water-bath Heater in Natural Gas Station Gu Junwen;Shanghai Natural Gas Pipeline Network Co.
Design of Power Supply and Distribution Scheme for LNG Station Wang Xiaoye;Shanghai Gas Engineering Design & Research Co. Practical Application and Discussion on New Pipeline Compensators Shen Xin;Shanghai Pudong Gas Business Co. Discussion on Establishing Secondary CNG Filling Station in LNG and L-CNG Gas Filling Station Meng Tao;Chen Zonglin;Baoji Tongchang Gas Engineering Design Co. Discuss on Removable Remote Detection Device for Gas Meter Chen Jiang;Lin Liang;Shanghai Pudong Gas Business Co.